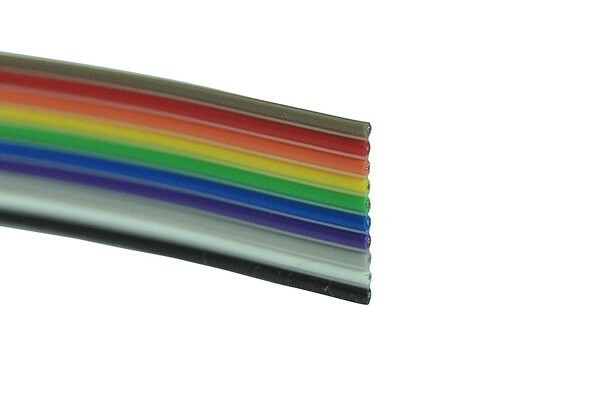 This ribbon cable if perfect for DIY projects. 10 leads connected parallely end the cable mess inside of the case. The cable is very flexible and only 0.9mm thick which makes it easy to hide for a clean cable management. The cable can be used for a widespread field of applications. Especially when using a large case with many LEDs, fans or similar accessories the inside of the case is often plastered with a multitude of cables. This cable now allows the creation of extensions and adaptors of any desired length for a cleaner cable management.